Rhythm disturbances and mechanical function suppression proper to the acute heart failure in the case of cardiomyocyte calcium overload are simulated in a mathematical model of cardiomyocyte electromechanical activity. Particular attention is paid to the overload caused by diminished activity of the Na + - K + pump. It is shown in the framework of the model that myocardium mechanics may promote arrhythmias in these conditions. In particular, cooperative influence of the attached crossbridges on the calciumtroponin kinetics is shown to contribute to the initiation of spontaneous action potentials. Numerical experiments showed that the recovery of the normal Na + - K + pump activity during the heart failure attack did not always led to the normal electromechanical function recovery in the failed cardiomyocyte. 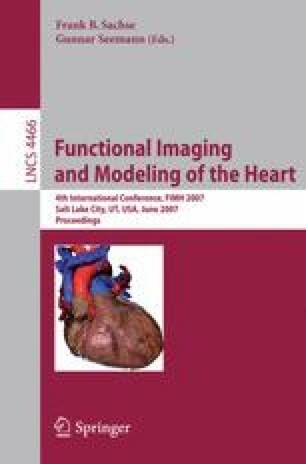 Alternative approaches were suggested in the model and compared to each other for recovery of the myocardium electrical and mechanical performance in the simulated case of the acute heart failure.